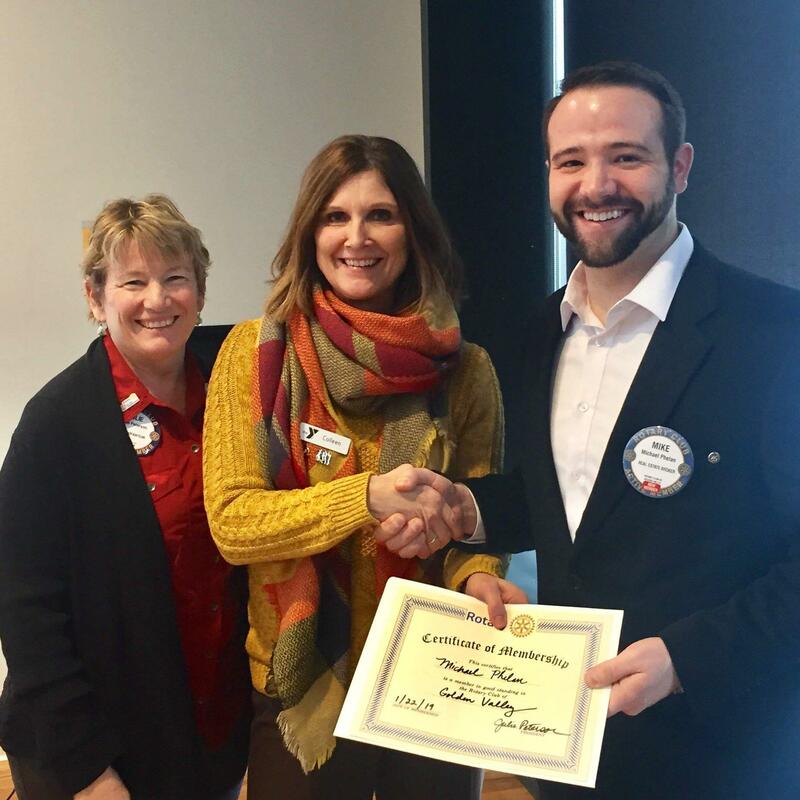 We are so happy to welcome Mike Phelan as our newest member of the Golden Valley Rotary Club! Mike grew up in Omaha, Nebraska where he spent most of his time in sports, hanging out with friends, and with the high school youth group. During summer breaks he managed a city pool, taught swim lessons, and volunteered at the Omaha Reservation in Nebraska. After high school, he attended the University of St. Thomas were he studied Finance and Economics and met his wife, Katie. They currently live in St. Paul, but are starting to look for a new house in the Golden Valley/St. Louis Park area. Mike works at JLL (Jones Lang LaSalle IP, Inc.) as a commercial broker and specializes in Tenant Representation. He looks forward to meeting everyone in the Club and helping spread the word of Rotary throughout our community! Mike has volunteered to be our Club's liaison for the District 5950 Human Trafficking initiative. Welcome, Mike; we are so pleased you have joined the Golden Valley Rotary Club!